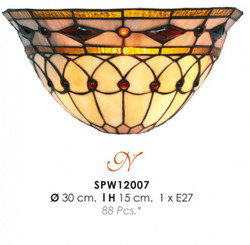 Welcome to the great world of light by Casa Padrino, your baroque wholesaler from the beautiful city of Essen (Germany). 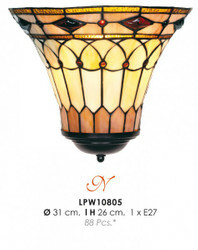 Are you looking for a dreamlike Tiffany wall lamp? 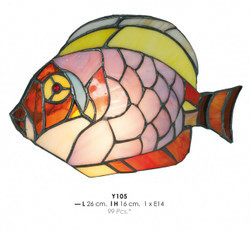 Casa Padrino offers you fantastic Tiffany wall lights with imaginative nature motifs, elaborate glass arts and colorful lights. 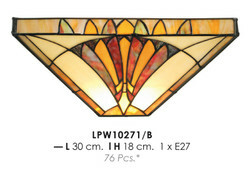 Tiffany wall lights give every room a fascinating and unmistakable aura. 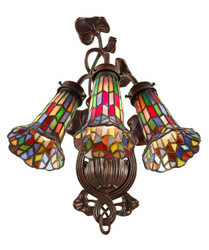 The Tiffany lamp is considered the most famous design element of American Art Nouveau and has lost none of its popularity in its over one hundred years of history. 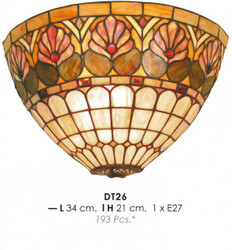 Tiffany lamps are highly sought-after and artistic unique pieces, which inspire by a graceful effect and outlast all trends of interior design thanks to their timeless aura. 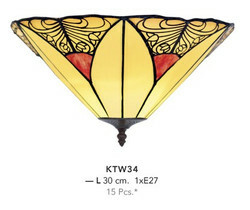 This makes every Tiffany lamp an investment for many years. 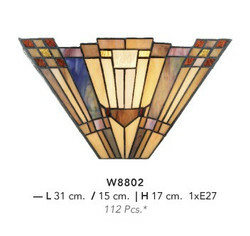 Tiffany wall lights can be combined with different furnishing styles and set in a room effective accents that attract all eyes and create a harmonious and cozy living atmosphere thanks to the colorful glass elements. 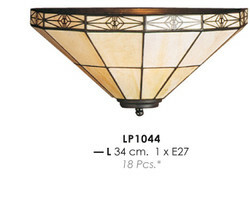 With our wide selection of Tiffany wall sconces, you will certainly be able to meet your personal needs. In our online shop you will find a wide selection of different styles and colors. Always with the right mix of glamor and style. 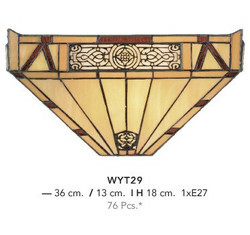 To get an idea about our products in our online shop is one thing. But it is even more fascinating to experience our Tiffany wall lights directly and to convince oneself of the quality on site. If you happen to be around Essen, we would be pleased about your visit. 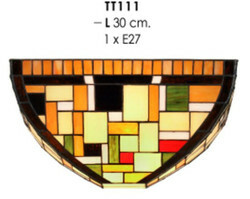 In addition to the wide range of immediately available Tiffany wall sconces, we at Casa Padrino also offer you the opportunity to have custom made to customer specifications. For further information about the complete offer just call us on + 49-201-36577485 and our qualified support will help you in every detail! Guaranteed! Casa Padrino, your baroque wholesale on the internet and on site.